Rebelles got a few extra minutes of sleep this morning, as the route for Day 2 both started and ended in Diamondfield, meaning that they did not have to pack up their gear for the day. Day 2 started with a 36-kilometer Rebelle Enduro Challenge (REC); considerably shorter than the REC on Day 1. The terrain was smooth and winding as the road went west past Goldfield across Highway 95. Teams were broken into three groups, which limited the ability to play follow-the-leader on the course and forced competitors to rely on their navigation skills. The route went through the colorfully named Monkey Face Canyon on their way to the mining town of Silver Peak. The area around Silver Peak has been hammered by flash floods over the past six months, requiring the course crew to change the route last month after smooth graded roads were reduced to boulder fields. After more flooding last week, there were rain ruts and washouts that required careful attention. 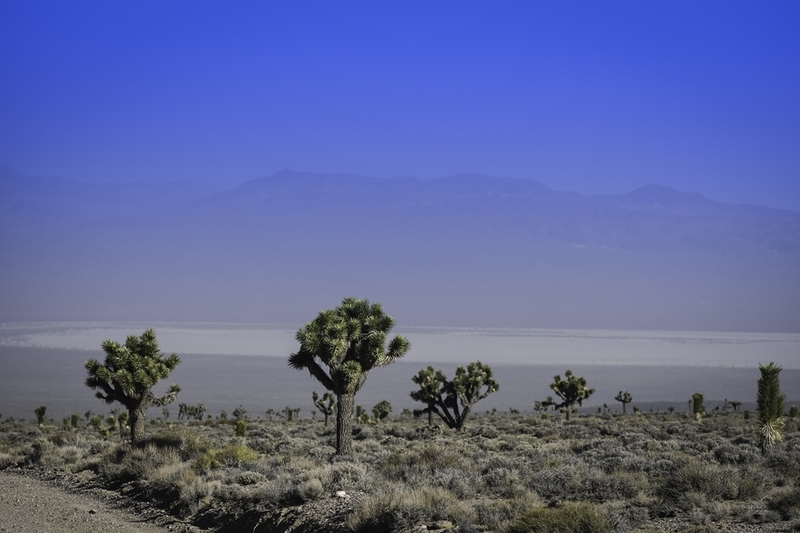 The final CPs of the day were located on Alkali Dry Lake Bed, southeast of Tonopah. 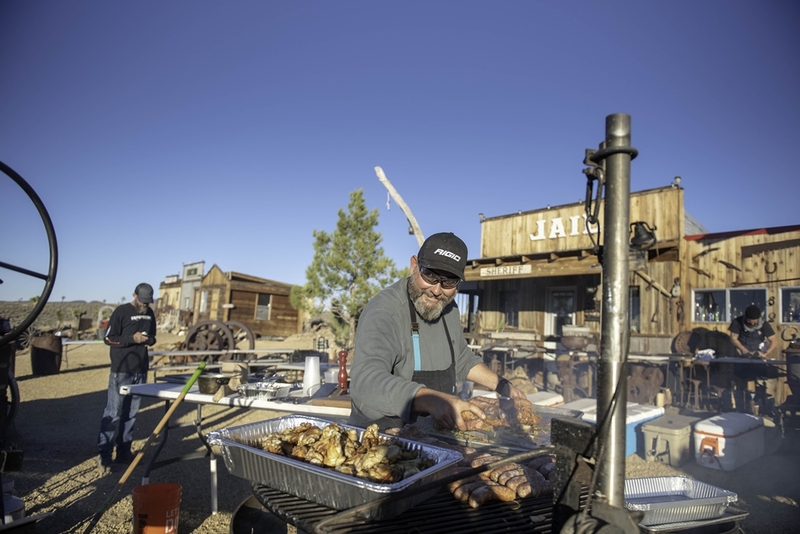 The rain made the lakebed a little less dry, but all the teams made it safely back to the Diamondfield Base Camp for Drew Deckman’s take on Taco Tuesday, which included ceviche with shrimp graciously provided by Del Pacifico Seafood. Fair trade certified wild Mexican shrimp from the Pacific Ocean, the Rebelles were fed well tonight! In the 4×4 Class, Emme Hall and Rebecca Donaghe (Team #140) posted the best score of the day to take a slim lead of three points in the overall standings over 2017 winners Team Blondetourage #125 (Teralin Petereit/Kaleigh Hotchkiss). After a strong showing for the day, Team 4 Corners #129 (Nena Barlow/Chris Mayne) and Team Clearwater Design #115 (Michelle Laframboise/Elise Racette) are in a tie for third place in the overall standings. 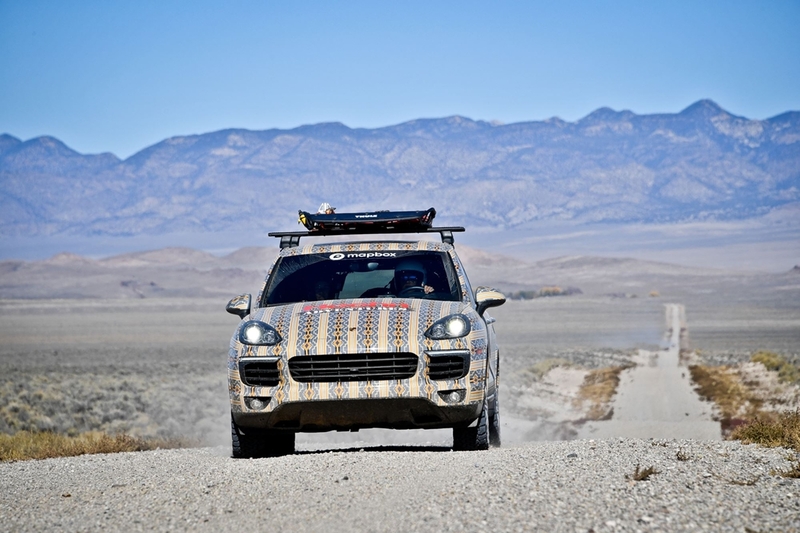 In the Crossover Class, Team Hoehn Porsche #202 (Sandy Conner/Lisa Wolford) posted the best score for Day 2, giving them a slight margin over Team Artemis #206 (Marty Lawrence/Kate Lundin) in the overall Crossover standings. On Day 3 the teams will get their first taste of the sand dunes en route to the China Ranch Date Farm for the first half of the marathon stage. 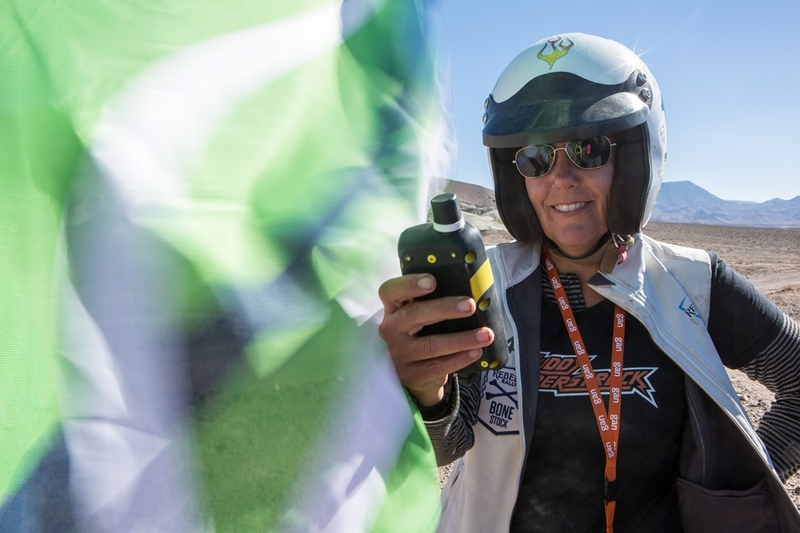 Team Desert Dreamers #208 (Ariel Jen/ Melanie Morimoto) will be the first off the line at 7 AM PDT in their Bone Stock Honda Pilot. You can track the teams in realtime here. Daily Tech Tip – What Is A Marathon Stage? A Marathon Stage takes place over two days with minimal outside support (only fueling is allowed). 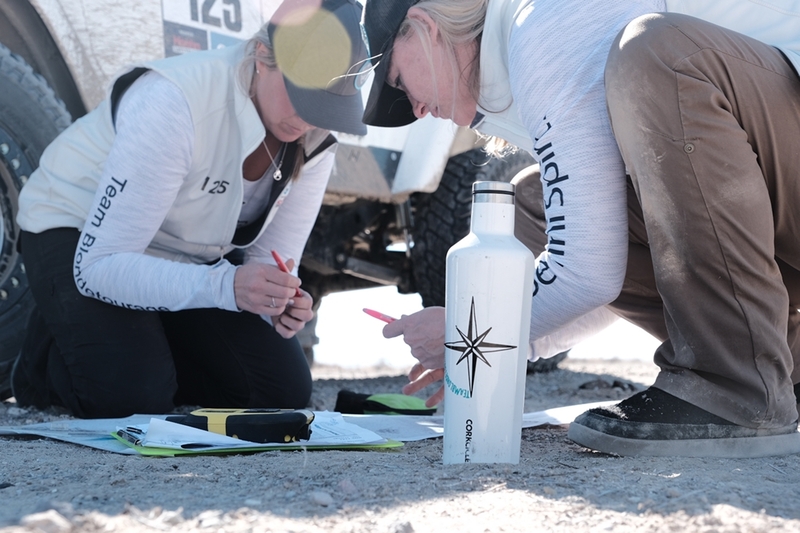 The teams are required to carry all of their own camping gear and cook for themselves, without the luxuries of Base Camp, which include mechanics, showers, and bathrooms. Mountain House freeze dried meals and MREs will substitute for Drew Deckman’s cuisine. Corkcicle is a fan favorite amongst Rebelles and staff. Since 2017, we’ve counted on the triple-insulated canteens to do everything from keeping our coffee hot in the mountains, to keeping our water cold in the dunes. They also help us minimize trash on the rally, keeping plastic out of our oceans and landfills. Rebelles have also found some creative ways to make use of the sleek, easy grip design that does it all — including a make-shift radiator replenisher and a source of hot water quickly on the go. We interviewed Corkcicle Founder Stephen Bruner last year to find out how he got started, and how his knack for innovation is bringing the refined to our rough at the Rebelle. Check out our throwback interview here, and our go-to Corkcicle choice here (cupholder friendly included).